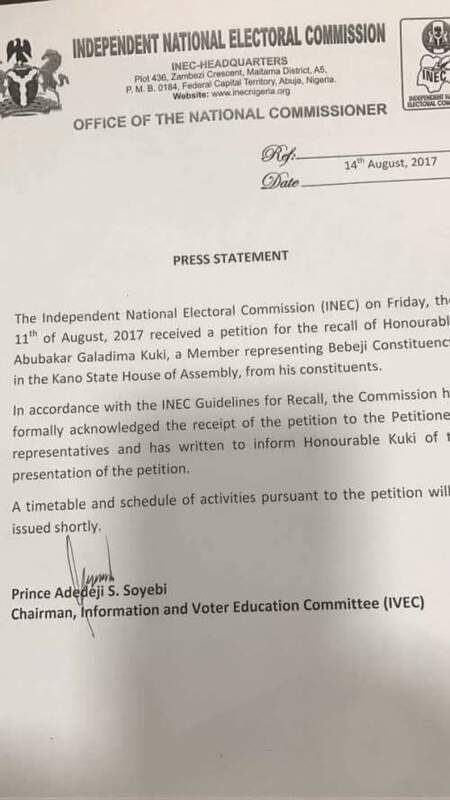 The Independent National Electoral Commission (INEC) received a petition for the recall of Abubakar Kuki, a member of Kano State House of Assembly. Mr Adedeji Soyebi, National Commissioner and Chairman Information and Voter Education Committee of the commission, who confirmed the development in a statement, said the petition was sent by the lawmaker’s constituents in Bebeji area of Kano State. He stated that in accordance with INEC guidelines for recall, the commission has formally acknowledged receipt of the petition and has also informed Abubakar Kuki of the petition. 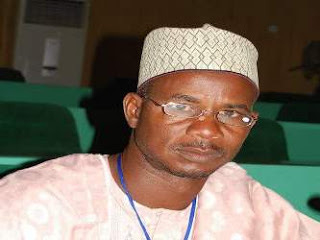 “A timetable and schedule of activities pursuant to the petition will be issued shortly,’’ Soyebi said.